Manchester turned Blue on Saturday night, when City defeated United 2-1 at Old Trafford. The two City goals came from defensive errors by Romelu Lukaku. 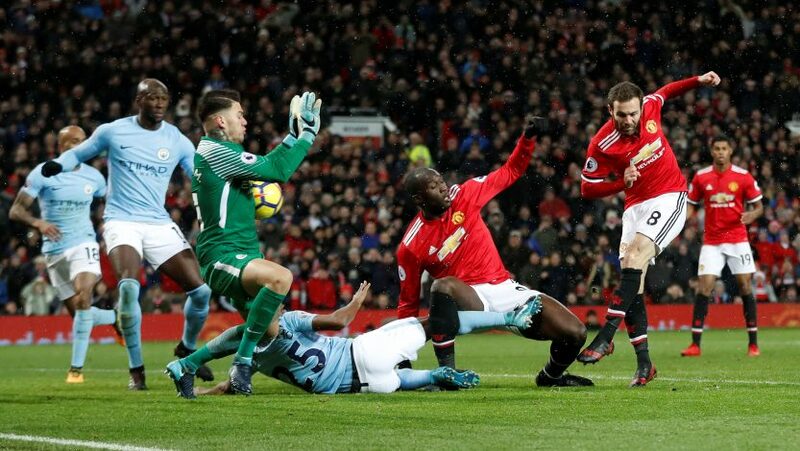 While Marcus Rashford found the net once in the first half, the Red Devils were unable to get the final touch on the ball to trouble City’s Brazilian stop-stopper. Ederson was brilliant on one occasion, when he made two back-to-back saves to deny Lukaku and Juan Mata. His fast reflexes ended up denying United a valuable point. However, everything didn’t seem to go too well after the match, as multiple reports suggest that around 20 players were involved in a tussle, where Jose Mourinho and Ederson came out with a heated exchange of words. The United boss was reportedly unhappy with the way City players celebrated the victory, and eventually busted out in the visitors’ dressing room. This argument eventually turned into a brawl, with others players from both sides getting involved as well. Reports claim that the fight got vicious minutes later, when punches were thrown from one to another, and in the process, City’s assistant manager, Mikel Arteta, saw blood pouring down his face, as his eyebrow was split open. Reportedly, the big Belgian Lukaku was seen showing his frustration of the match on the scene. Police and stewards handled the situation after that, making sure no more casualties take place.